If you are looking to add luxury and glamour to a room, I think one of the most stylish ways to do it is to look to your carpet. These images are from Stark Carpet who produce some of the most gorgeous carpets and rugs on the market and they show how a beautiful carpet can make a room – I would go as far as to say it is artwork for the floor, so feast your eyes as well as your feet! 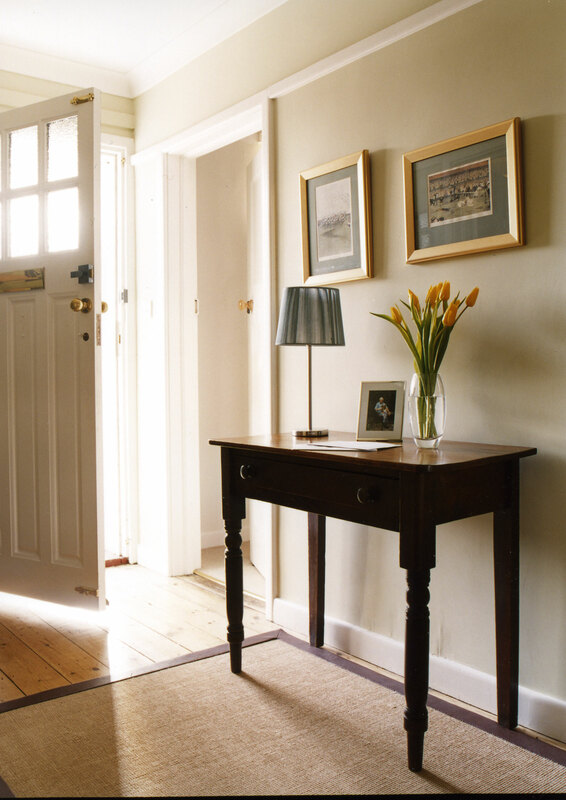 Your hallway is the first glimpse that visitors will get into your home so consider your decor carefully to make sure you show off your house to its best advantage. A slim console table set near to your front door for keys and post is useful but try and keep it as uncluttered as possible to promote a feeling of calm when you step through the door. A vase of flowers is lovely as well, to greet visitors and family. This image by Sally Storey for John Cullen lighting is a great example of using multiple light sources for different purposes; notice the floor level lighting mixed in with spotlights and uplights. You might not need quite this much lighting in your hallway but it’s worth giving it some careful thought and if you are not sure consider getting an expert to help you plan this stage. A simple row of coat pegs makes a feature of hats and scarves and the shoes lined up below look neat and practical. Painting the woodwork a bold shade is a clever way to add interest to a simple scheme. The hallway is the traditional place for a telephone table, although with cordless phones this is no longer the case in many homes. But if you do decide to have a telephone table, hanging a painting above and adding a vase of fresh flowers makes it into a pretty display. A smart notepad and pen are useful for jotting down names and numbers. A jaunty stair runner like this one by Roger Oates makes a feature out of your staircase and is a practical, hardwearing solution to endless feet traipsing up and down. Your hall carpet will also need to be sturdy to cope with the high level of footfall and for most homes the sturdier the carpet the better!